The issue of Investment Attracting Business Plan has long been a challenge for owners of Small Businesses and Banks alike. BCAMS is offering a powerful software that addresses this issue ABSOLUTELY FREE to any owner of a small business, that takes up one of our services. We want to invite you to a 15 minute Webinar to see our software for yourself, before you refer it to your clients. Alternatively, you could click here and access our FREE OFFER page immediately. Please be aware that this offer ends on 16th December 2016. LivePlan Explainer from Palo Alto Software, Inc on Vimeo. BCAMS guarantees your information will never be shared. How to create a single page Business Plan, that highlights all your key data, in a simple, yet professional manner that will impress your audience. So you’re a Business Owner, and you’re ready to start pitching your Business to potential investors. You know what they’re going to ask for: your business plan. But you don’t have an MBA, you aren’t an accountant, and you aren’t getting into business to stay up all night crunching numbers. You need something that’s easy to use, and that gives you a professional plan that you can really put into action. With over 500 sample business plans covering virtually every industry, you’ll save hundreds of hours of work. You can collaborate securely and easily with partners, and if you need some outside help, there are expert instructions and video advice at every step, along with free customer support. You can also build one-page visual snapshot for quick pitching, and export it to so you can impress audiences anywhere, anytime. But a business plan isn’t just something you create and then forget. With LivePlan, you can easily transition to setting goals and measuring progress, taking you from day one… to year one… and beyond. LivePlan even integrates with accounting software like Quickbooks and Xero, can handle multiple companies, and has helped more than 250,000 businesses get off the ground, fast. Research has shown that when businesses plan, they grow 30% faster than businesses that don't plan. Let BCAMS - your local LivePlan Experts help you maximise your business' potential. Paul is an experienced Public Speaker and Presenter. Having spent a number of years, heading up Sales & Marketing Teams across the EMEA Region, he is now focusing on helping SME Business Owners across the UK. 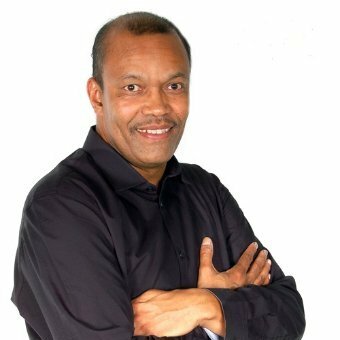 Paul is a Qualified LivePlan Expert, Professional Coach and has helped a impressive list of businesses.